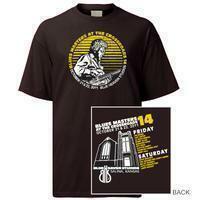 Blues Masters at the Crossroads 14 t-thirt. Sizes S–3X. Comfy 6-ounce; Double-needle coverseamed crewneck; Shoulder-to-shoulder taping.